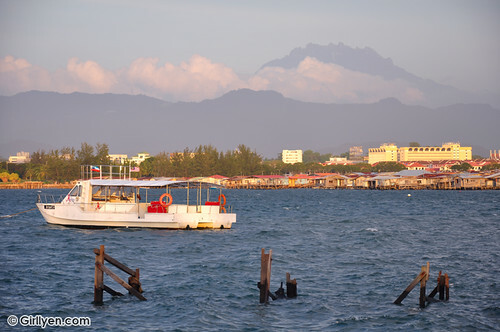 I went to Shangri La Tanjung Aru yesterday and I never thought that I could catch the Kinabalu Mountain from there. This view remind me of the song The birds and the trees.. Let me tell you ’bout the birds and the bees and the flowers and the trees, the moon up above, and the thing called love~ try to sing like this.. “Let me tell u bout the boat and the hills.. and the mountain and the seas.. the cloud up above.. and the thing called love~” Sounds good too right? this is beyond beautiful!!!!! and ur so amazing for being able to actually capture and share this to all!